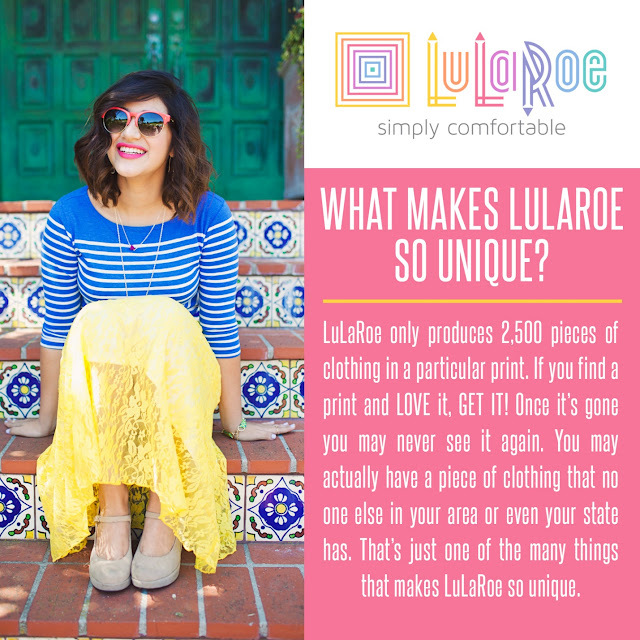 I'm a new LuLaRoe Independent Fashion Retailer! If you love LuLaRoe or have never heard of it, check out my Facebook Group to see all of the great inventory I have available! LuLaRoe is a clothing company that sells mainly women's clothing. There are a few men's products and some children's styles too. But, it's mainly for women who want to dress modestly, comfortably, and look super cute! I first fell in love with LuLaRoe Leggings and have branched out to many different styles from there. Molly also loves the kid leggings and Gracie shirts! Please, don't hesitate to contact me for more information, to book a pop up (in home or on facebook), ask about joining my team, or anything else! I've found it to be a very fun part time job! !